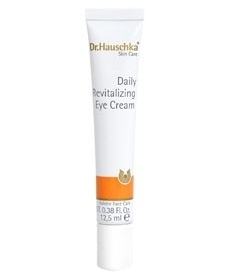 Daily Revitalising Eye Cream is composed of nourishing plant oils and medicinal herb extracts that care for and refresh the delicate eye contour area. Its lightweight formula is absorbed rapidly by the skin, meaning it can be used immediately before applying make-up. It has been formulated to provide calming, soothing, and fortifying care to the skin around the eye area, therefore helping to prevent premature wrinkles and bringing welcome relief to the eyes. 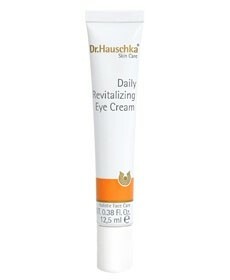 This daily revitalizing eye cream does its job – it hydrates, absorbs well, used sparingly and does not cause any irritation. On the other hand, it does not do much to address the dark circles or bags and does not treat wrinkles, thus it will probably best suit for ages 25 to 35 y.o. It is also a good thing that 100% of its ingredients are organic which is reassuring and it is safe to use it daily (even twice a day). It has many times helped me to moisturize sensitive skin under my eyes in summer. However, it is too lightweight for the cold season. In general, despite its price-volume ration, I can recommend it.